To encourage more amateurs to join local clubs the RSGB have sponsored a nationwide competition to find the Club of the Year. W&S sponsored the Region 12 (East Anglia) competition which covered Kent, Essex, Suffolk & Norfolk, which Chelmsford Amateur Radio Society won. 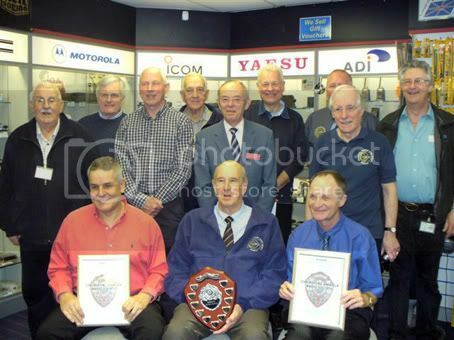 On Saturday, 27th March, the Chairman, John Bowen, Vice President, Geoff Mills and several Members of the Chelmsford Amateur Radio Society visited us to receive their prize as winners of the Region 12 Club of the Year competition. This was presented by the Region Chairman, Phillip Brooks, G4NZQ to Chairman John Bowen, G8DET and sponsored by Waters & Stanton PLC. Jeff Stanton, M3JJS praised the huge amount of work put in by the committee particularly in training and encouraging new members and members of CARS to bring them this reward. Phillip Brooks wished them future success in the national competition. 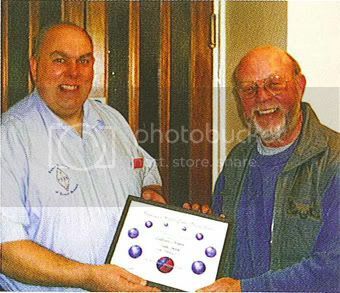 …and in Scotland Jaycee Electronics, our Scottish branch, sponsored the Region 2: Northern Scotland & Isles award, which was won by the Caithness Amateur Radio Society. Regional Chairman Denny Morrison, GM1BAN (left) presents the certificate to Brian Sparks, GM4JYB, Vice Chairman of Caithness ARS (right). Club of the Year Presentation. 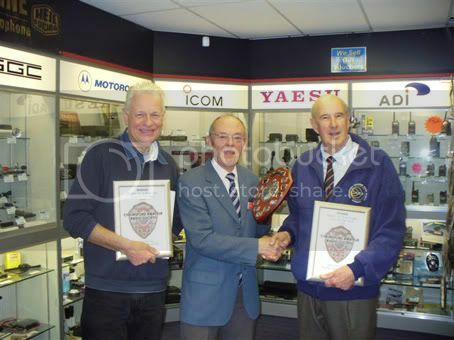 This saturday, 27th March, we will be presenting Chelmsford ARS with the trophy for the RSGB’s East Anglia Club of the Year which W&S have proudly sponsored, in our Hockley branch. The trophy will be presented by Phil Brookes, RSGB Region Chairman. Look out for a full report and pictures on the blog next week. New Yaesu! We are expecting the delivery next week of not one but three new mobile rigs from Yaesu. The FT-1900E 2m 55W, the FT-2900E 2m 75W and the FT-7900E 2m/70cm 50/45W. Get in quick to bag yours! Go! Go! Go! Next thursday evening, 1st April, Waters & Stanton will be sending a team of 5 drivers to Thurrock Raceway to take part in a Karting tournament to raise money for charity, support is always welcome and all for a good cause! Upcoming Rallies. There are two opportunities for you to come and see us in April and grab yourself a bargain or that new bit of kit you’ve saving for, at the NARSA Blackpool Rally and the Kempton Rally. AirNav Systems officially launched the new 3-D version of RadarBox. This puts it well ahead of any other virtual radar system. Dealers tell us that RadarBox is now dominating their virtual radar sales. And as expected, it seems to be free of any software bugs. RadarBox has earned its reputation on reliability, stability, and the absence of any need to rely on third party software. The new 3-D version features Google Earth as its choice of mapping system. This again puts RadarBox well ahead of the competition. In fact it effectively removes the competition! And there is more to come from AirNav Systems. Just you wait and see. You are currently browsing the Waters & Stanton Blog blog archives for March, 2010.